I have no problem calling King Gizzard and the Lizard Wizard the most ambitious band of 2017. The band seems to be on track to keep their promise of a year with five releases. So far, we’ve received Flying Microtonal Banana, Murder of the Universe, Sketches of Brunswick East, and now, believe it or not, the strongest release so far, Polygondwanaland. What makes this release unique aside from being the 4th launched this year? You own it, i own it, everybody owns it. The album was released for free in to the creative commons for anybody to do as they wish. 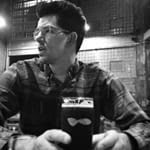 Download it for free, start your own record label and make a vinyl pressing, heck, make a cassette tape if that’s your thing. Polygondwanaland, for me, is the tightest Gizzard release this year. Yes, Murder of the Universe was a RUSH inspired fever dream that was broken down into three chapters with excellent cohesion. But, Polygondwanaland has the most exhilaration out of any of their releases this year. “Crumbling Castles” is an absolutely one of my favorite tracks this year. Stu and co. form a sort of hypnotic urgency that permeates the song at every turn. It feels both Nonagon Infinity and Quarters all in one song. The best qualities of Polygondwanaland are it tendencies to stray farther from their garage/psych sound. Tracks end begin and seep into each other depending on the thread King Gizzard wants to continue. The title track tip toes through whispered lyrics into a flute based outro. That then bleeds into the narrated, cool, synthy, renaissance groove of “The Castles In The Air.” To finish the 3-song movement, heightened, jagged guitars rip to and from between space bound synths. For Polygondwanaland there really are a lot of flourishes here that make the music feel just as experimental as the release method. “The Fourth Colour” trills its’ way into your ears along with pitch shifting kaleidoscopic voices that bounce from ear to ear. 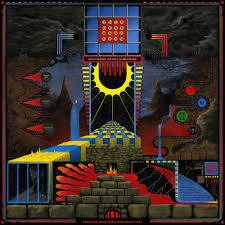 Polygondwanaland is the strongest Gizzard release this year. Its’ construction shows a focus towards overlapping prog grooves, thematic illustrations, and acute brand of storytelling. While it lacks a form of tightness presented by albums such as I’m In Your Mind Fuzz and the prog, psych doom and gloom classic Nonagon Infinity. Polygondwanaland has to be one of the best free albums you can download all year. Now I can only imagine what Stu and the boys have in mind for this year’s final LP. Whatever it is, it goes without saying this year has been huge for Gizzard fans.